“There comes a time when one must take a position that is neither safe nor politic nor popular, but he must take it because his conscience tells him it is right.” —Martin Luther King Jr. In this 50th year since King’s assassination, I have decided that while it is not safe, politic, or popular to do so, I must speak out on an issue that has gone unaddressed for too long. Many of Denver’s students, especially students of color and those from low-income homes, are being left behind, and there is no viable plan to end this unacceptable situation. In its current form, Denver Public Schools is incapable of making substantive improvement for students. The only way to fix it is to enact profound change in district leadership — at the board and administrative levels. 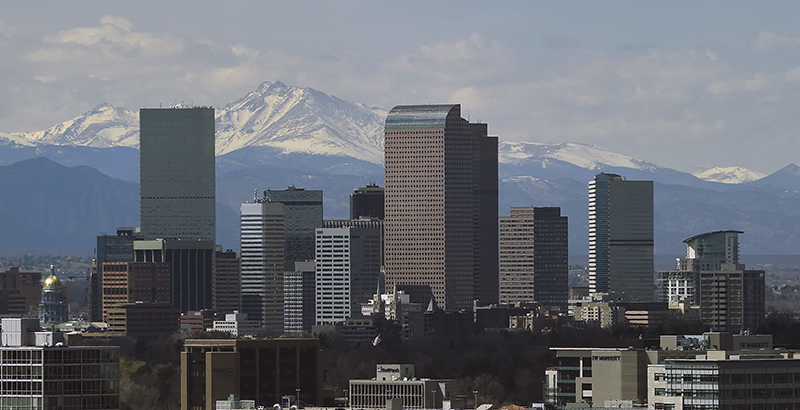 A quick examination of the progress toward the Denver Plan 2020 goals is shocking and dismal. That plan sets three benchmarks to be achieved in the next two years: at least 80 percent of students attending a high-performing school in every neighborhood, at least 80 percent of third-graders scoring at or above grade level in reading and writing (in English or Spanish), and a 25 percent increase in both the four-year graduation rate and in third-grade reading and writing proficiency for African-American and Latino students. But today, nearly two-thirds of DPS third-graders cannot read at grade level. In fact, according to data run by A+ Colorado, third-graders eligible for free and reduced-price lunches will not reach the DPS plan goal for reading and writing for another 30 years at the current rate of improvement. And, according to the same calculations, to reach the DPS goal of a four-year 90 percent graduation rate, our African-American and Latino students will have to wait another 15 years. Even then, these students will likely have ACT scores well below the Colorado benchmark for college readiness, since these scores are showing no improvement — which means the students are much less likely to be accepted to, enroll in, or graduate from college. The achievement gap between students above the poverty line and those eligible for free and reduced lunch is growing because the average progress achieved by African-American, Latino, and poor students is significantly lower than that of white and/or more affluent students. Our students of color are falling further behind their white counterparts every day. The brightest spots in the district are those schools — primarily charter schools, but also some innovation and district schools — that show it is possible for all students to achieve at rates that outstrip the district average. But simply promoting new schools and school choice is not a deep or game-changing strategy. Even if it were, DPS’s approval of new schools and replications of high-quality schools have slowed, as has its desire to close low-performing schools. And the lack of strategies to provide meaningful transportation or adequate facilities clearly shows how broken Denver’s school choice model has become. With less than two years left on the clock, there is no discernible district strategy in place to achieve the goals of the Denver 2020 plan. Consider how this has played out over the past decades: Denver Public Schools has pledged to eliminate the gaps in achievement between students of color and their white peers. But even as district leaders insist their latest efforts are more than just another round of rhetoric, the gaps continue to grow. Will DPS’s ongoing rhetoric alone close the gaps? How can we continue to blindly and meekly accept these abysmal results? Why isn’t there a sense of collective outrage when we know that the majority of students are being left so far behind that they will never catch up? Why do we accept the platitudes of a DPS school board and superintendent who have lost their way, ignoring the lack of progress in their own plan? Denver’s gentrifying demographics will help conceal the lack of academic results in the district, but nothing can hide the dysfunctional culture that puts adults first and students and families last. It’s not just about the lack of academic results and progress; it’s about the lack of leadership and boldness from the superintendent and the board that oversees him, the inability to engage meaningfully with partners, communities, and families, and the organizational dysfunction that drives good, hardworking teachers, principals, and administrators to leave. For too long, we have failed to take the bold actions required to make fundamental changes to our educational system. We have tinkered at the margins of change with tweaks to school autonomy and governance, to curriculum and textbooks, and to ensuring better environments for adults, not for students. We have ignored not only the community voice(s) but the student voice(s). We have sucked the joy out of learning and the curiosity out of our students. Learning happens everywhere, but we treat it as if it only happens within the four walls of a school building. That’s patently false. It happens in after-school programs, during the summer, and whenever an interested student explores something she is passionate about, is interested in, or recognizes as relevant. Denver needs to embrace this philosophy. We need leaders capable of imagining an education that matches every student’s interests and needs with hands-on, relevant learning. We need leaders who can engage students, families, and communities as partners — to help design learning systems that fit for every child, both in and out of school. If you had a child in the Denver school system, how satisfied would you be if she couldn’t read or write? If he had an ACT score too low to help get him into college? If, every day, week, month, and year, your son or daughter were being left further behind his or her classmates? Are you willing to wait two more years to evaluate a failed plan? Are you willing to bet that the current plan will suddenly bear fruit in the next two years? If you believe in an elected board of education that sets the vision and approves a district’s strategies and their implementation, then you must hold board members and district leadership accountable for results. If their strategic plan isn’t working — and, news flash, it isn’t — the district must come up with a plan and strategies that rapidly improve the educational outcomes for all of our children. And if you believe that our current education system needs more fundamental change than small tweaks, who is going to make that change? If neither the board nor Superintendent Tom Boasberg is demonstrating the leadership to improve these outcomes, if they cannot find the energy, enthusiasm, conviction, political courage, and fresh ideas, they should step aside in favor of new leadership. It isn’t safe, politic, or popular to say it, but new leadership is badly needed at all levels of the district. Tony Lewis has led the Donnell-Kay Foundation since 2000, with a focus on improving education in Colorado.